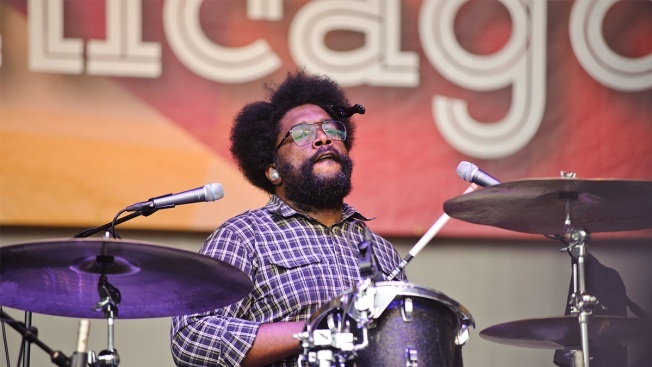 Questlove performs with The Roots on Day One of the Taste Of Chicago at Grant Park on July 6, 2016 in Chicago, Illinois. Questlove is assuring students at a Pennsylvania high school that he will still perform at their prom despite unexpectedly canceling days earlier. After finding out about his cancellation Thursday, students replied with angry tweets at the drummer for the band on "The Tonight Show with Jimmy Fallon." DJ Pauly D of "Jersey Shore" fame tweeted "Should I Save The Day??!!" in response to the outrage. Labeled "Best Prom" by multiple magazines, the Pennsbury School District has welcomed artists such as John Mayer and rapper Asher Roth in the past.